So big in fact, the last film in the trilogy has to be split into two separate films, leaving us with either half of a film or a story so grand in scale it can’t fit into a mere two hours. Well, we get the former. With the 75th Hunger Games behind them, ending with a last ditch rebellion by the players of the game, Katniss and others have been rescued by an underground rebellion; one that wants to use Katniss as their symbol of fierce hope. Katniss agrees reluctantly, but only on the condition that they do everything they can to free Peeta- whose been captured by the elite Capitol and brainwashed into doing their bidding. The people’s champion. Can you smell it? You can’t really watch a sequel without it being compared to the films that came before it. Unless you’re watching films such as the Indiana Jones trilogy (Yes, a trilogy), where the adventures are separate and don’t quite connect with each other. But as with most films, Mockingjay Part I is highly connected to its predecessors. I’m not sure you could see this film and have any clue as to what was going on if you’ve haven’t seen the previous ones. That in itself, isn’t a problem of course, and is expected. What’s also expected when you have a film with Part I in the title is that you’re not going to finish the story you’ve begun once you sat down. It’s a common thing to split the last book of the series into two movies nowadays (Or one book into three films if you’re Peter Jackson) and that’s well and good for the studios that make twice the money and the fans that get even more showtime of their favorite characters that they won’t see again once the credits roll. It does not, however, make for a complete film in itself and here lies the problem with so much of the film. Without spoiling the ending, I really can’t say how much has been accomplished throughout the entirety of the series until I’ve seen Part II. Bravo, Lionsgate. If Jennifer Lawrence were paid in the tears she cries in this movie, she’s filthy rich. So might say that this is irrelevant to the quality of the film itself but when a movie needs to have a beginning, middle, and end, we’re getting a beginning, middle, and end to the first half of a full story. And how fairly can a movie be judged on half of the story that’s marketed as an entire movie? It’s two hours long, sure, but we’re just seeing Jennifer Lawrence make propaganda videos for her cause while the boy-next-door Peeta Mellark does the same for his side. Still, much can be said for the performances throughout. From leading Lawrence to Julianne Moore’s suspicious President Alma Coin, there isn’t anybody here that doesn’t play the part perfectly. The drama is also something to acknowledge and continue to keep it far, far away from any YA adaptions pretending that it’s the newest Harry Potter or Twilight. Maybe another adaption having followed in the tradition of Harry Potter seeing as how the films have grown darker in tone and are made with effort and quality. Now, Divergent- that can be the new Twilight. You needed more Moore, get me? I’m here all week. Negatives: We’re really only getting half of a story until November 20, 2015. And this film is 99% humorless. Comedy isn’t necessary, but I can’t think of a single scene I really enjoyed watching. Side Notes: There’s the Part II logo “unveiling” at the end of the credits, but no scene. This entry was posted on 11/21/2014 at 4:38 am and is filed under Reviews! 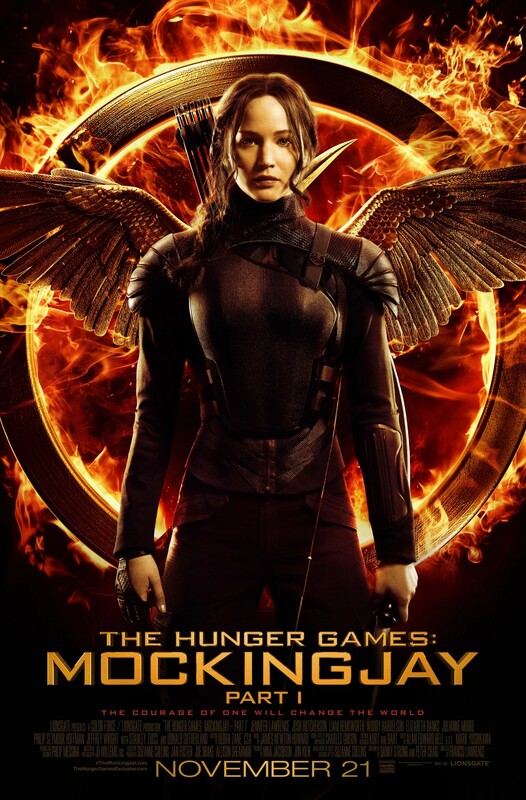 with tags Hunger Games, Mockingjay Part I, movie review, sequels. You can follow any responses to this entry through the RSS 2.0 feed. You can leave a response, or trackback from your own site.